Dr. Thierry Bros, senior research fellow at The Oxford Institute for Energy Studies and a member of the EU-Russia Gas Advisory Council, in an interview with Sputnik has commented on US President Donald Trump's statement that up to 11 port facilities will be built in the European Union for liquified natural gas imports from the US. Sputnik: Who will pay for the infrastructure required to accept deliveries of US LNG in Europe and how much would it cost, in your opinion? An average regas cost of around €0.5bn and is always paid by private companies. In some cases, if the project is viewed as a project of Common Interest, the EU could sponsor a very small part of it. But at the end of the day it is a commercial decision. Sputnik: In your view, what counties could be involved in this project? There have been about a dozen proposals on the drawing boards but no more than three or four new plants will be built anytime soon. That’s because the existing LNG import facilities now operating in Europe are running at about a quarter of their capacity. Spain is the biggest LNG importer inside the EU taking around 1/3 of all European LNG, but I don’t view this country as likely to increase its capacity. We are more likely to need one in Croatia for improving competition in this area, one in Ireland if there is a hard Brexit and perhaps one in Greece as we could need more LNG to power clean ships in between islands. Sputnik: How competitive is US LNG on the gas market now and will be in the near future? First, if you are a consumer, after decades-long of implementing an EU energy market, there is a market price for gas and anyone willing can come and supply its gas to Europe. So as a customer you don’t care as long as you have a competitive marketplace. If you are a supplier, you need to make sure that your costs are low enough to be competitive/profitable. LNG is always more costly to produce and ship than piped gas but LNG is providing optionality, i.e. ability to redirect the ship to the most profitable market. At Oxford, we publish an "LNG tightness indicator" showing that US LNG could be profitably sold into Europe. Last year only 11% of US LNG came into Europe as it could be sold with higher profits in other places (closer to Mexico or in higher price markets like South Korea and China). To allow your audience to better understand, Gazprom is the company with the cheapest cost of gas. But Gazprom sells its gas at the same price as all the other producers. This means that Gazprom is always the most profitable but others can also be profitable and serve EU customers. A competitive market is here to allow competition for the benefit of consumers. 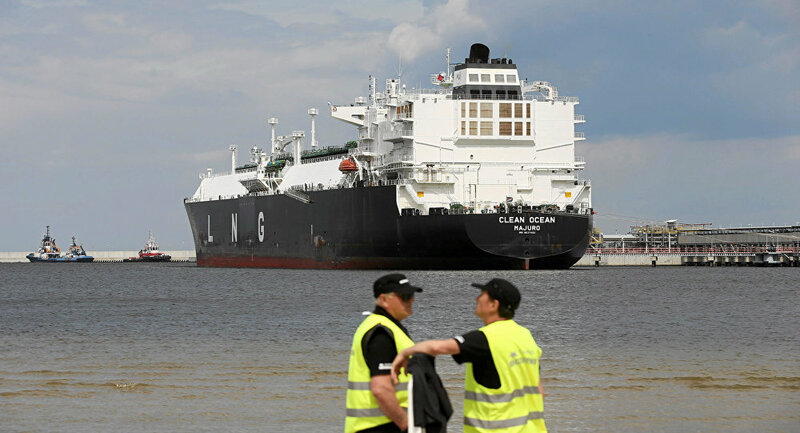 Sputnik: Is it likely that American liquified natural gas will be in demand for European clients? Gas demand in Europe should continue to go up, which has been seen since 2014 (+16%) as we need to move away from coal. Our domestic production is also declining fast. Hence why we will import more and more gas. That now looks like a given if we want to meet our COP-21 targets. The major exporter, Gazprom accounted for 34% of total EU consumption while US LNG accounted for less than 0.5%. But what is important as I stated earlier is to have a competitive marketplace and therefore the more suppliers (Russia, Norway, LNG, Azerbaijan) the better. It is highly possible that this year, the share of Russian Yamal LNG in Europe could be higher than US LNG as it is closer and needs to come to Europe during winter when the northern route direct to China is closed by ice. Extra capacity gives customers the ability to access more LNG or piped gas when needed (and to select the cheapest) and to mitigate any risks. Sputnik: Where in Europe do you think the main ports for American LNG could be built or is it possible to use the existing ports? In an interconnected competitive market, it doesn’t really matter, US LNG can land anywhere and be consumed on this market. As discussed earlier you could have less connected markets that would need LNG. But again here US LNG would be in competition with any other LNG from Algeria, Qatar, Russia or Norway. The views and opinion expressed in this article are those of the speaker and do not necessarily reflect Sputnik's position.